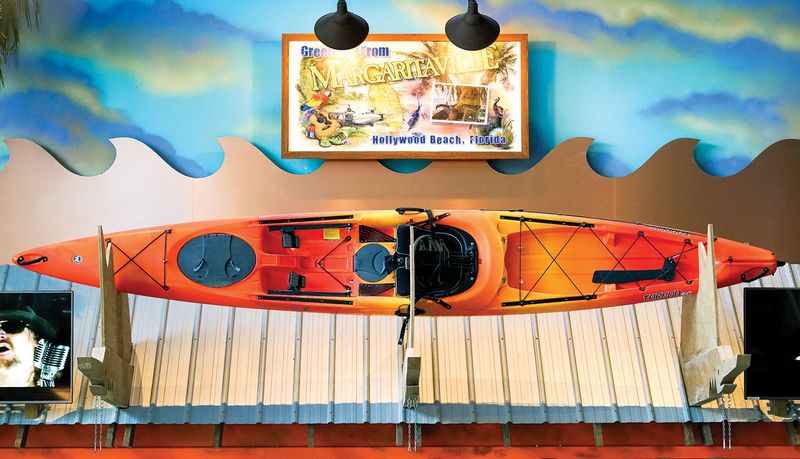 Margaritaville Hollywood Beach Resort is a Jimmy Buffet lyric-inspired resort located in Hollywood, Florida. 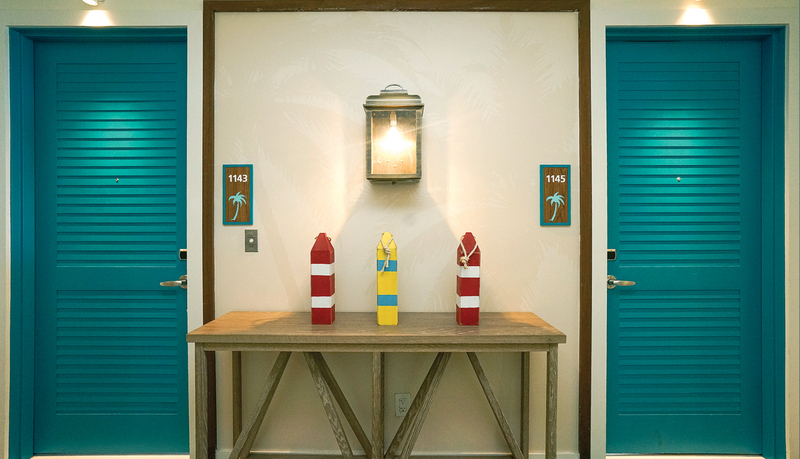 The design concept is centered around island living and coastal luxe décor, providing guests with a tropical, laidback atmosphere evocative of a “no worries” beach lifestyle. 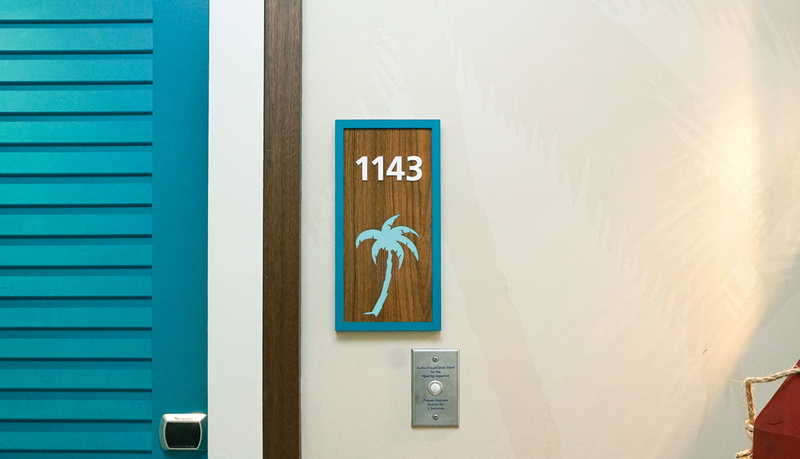 The 17-story resort has sweeping views of the Atlantic Ocean and Intracoastal Waterway. 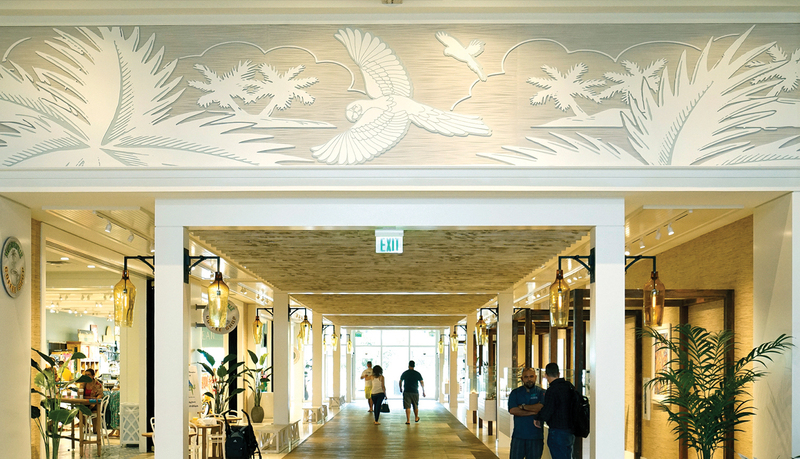 It features 349 resort rooms, diverse restaurant concepts, a full-service spa, fitness center, three live entertainment venues, as well as an array of shopping outlets, and 30,000 square feet of flexible function space. 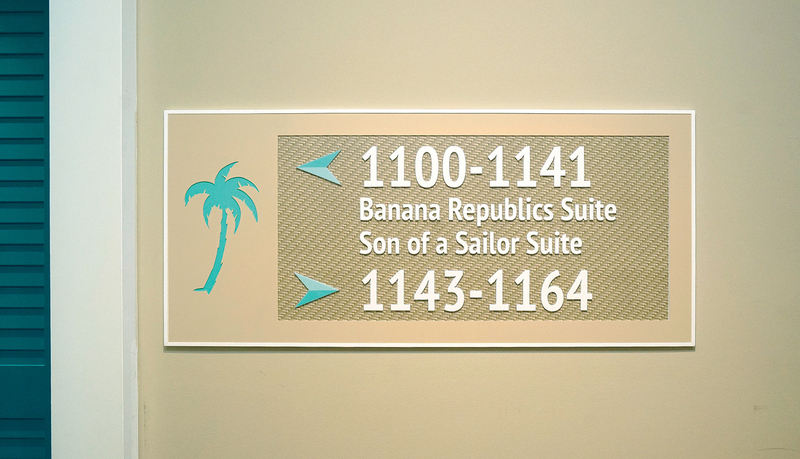 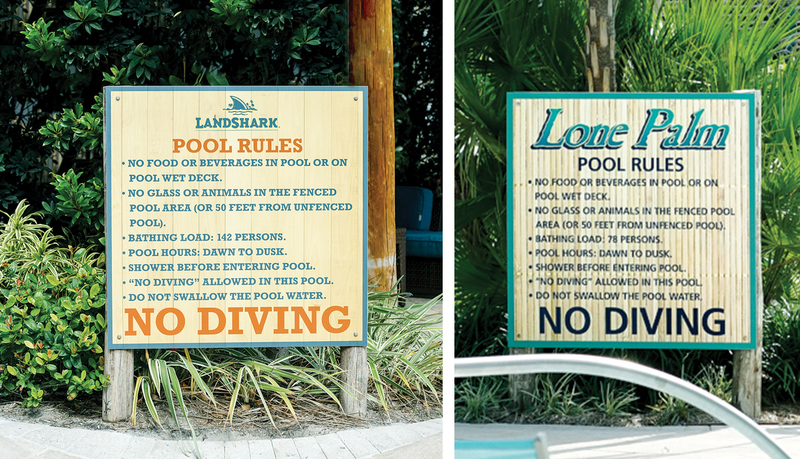 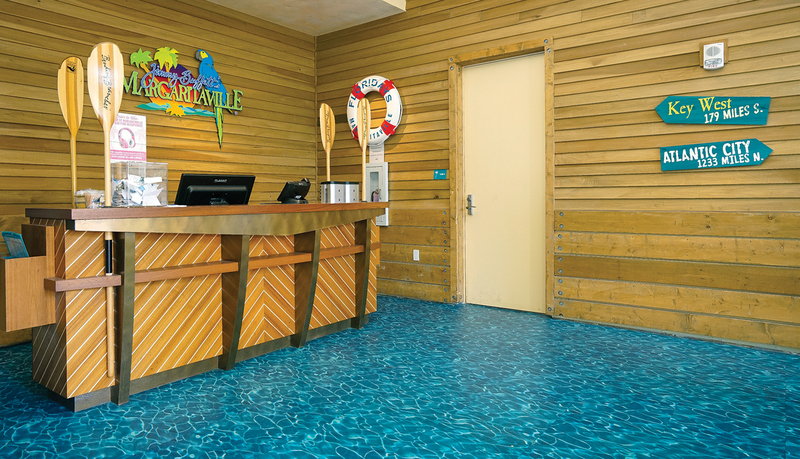 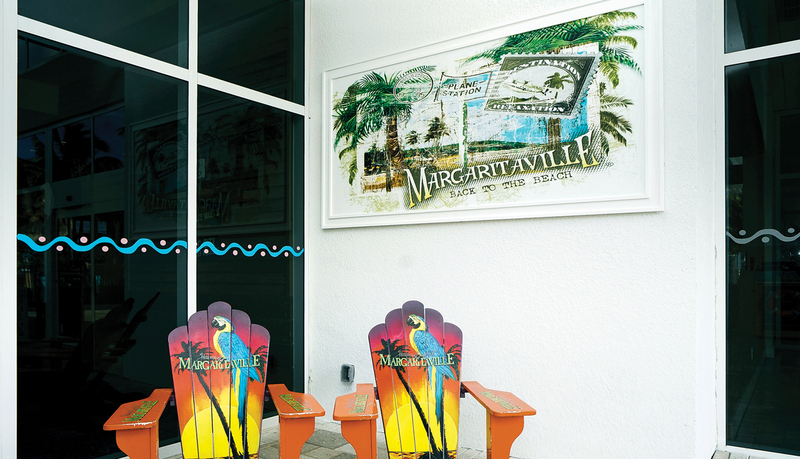 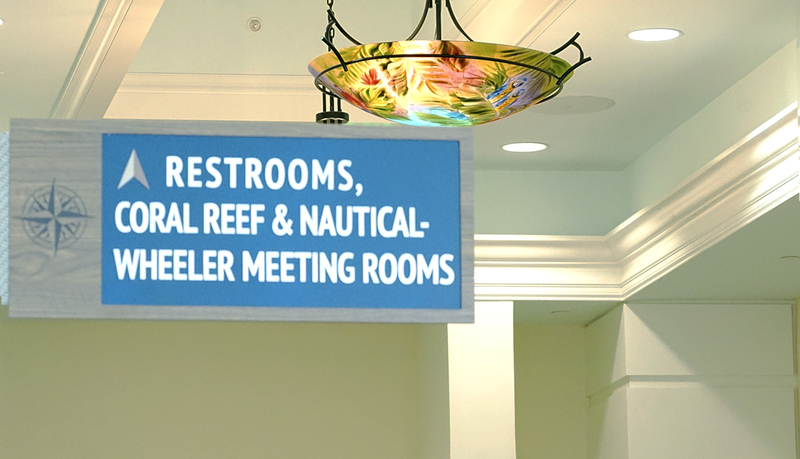 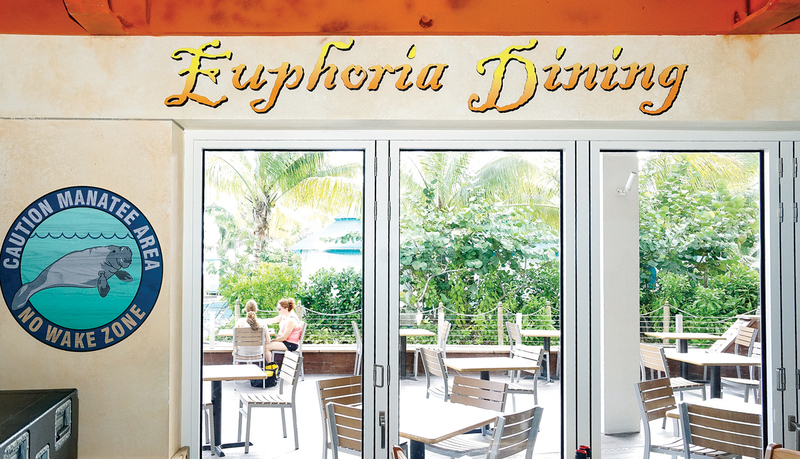 ASI was brought onboard to leverage its expertise in applying design concepts to signage solutions to emphasize the unique guest experience of Margaritaville Hollywood Beach Resort. 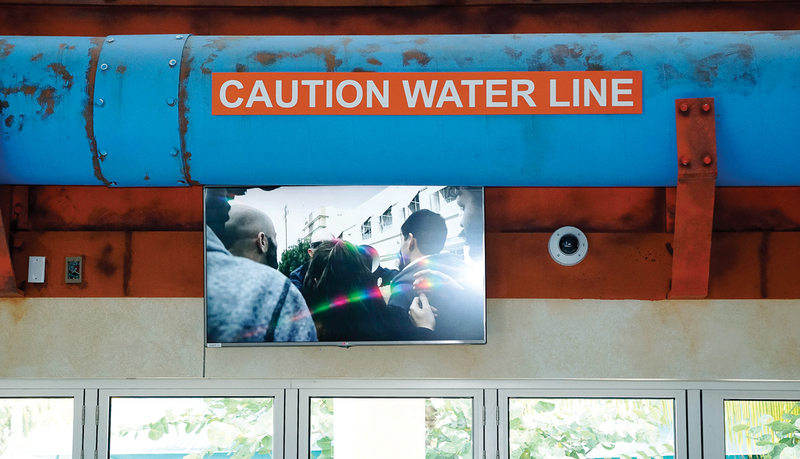 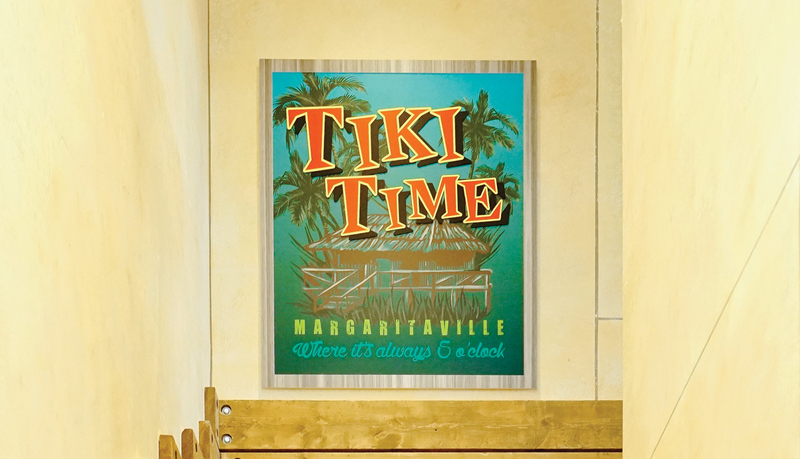 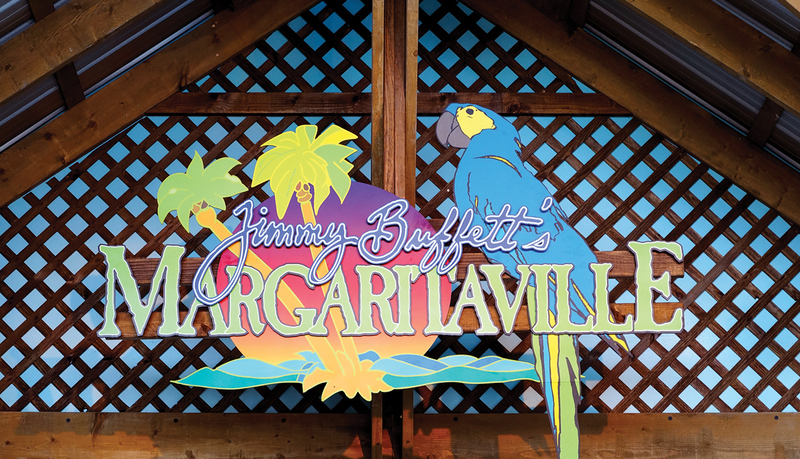 Today, the colorful signage program implemented by ASI stands as an important integrated design element, bringing the quintessential Margaritaville spirit to life. 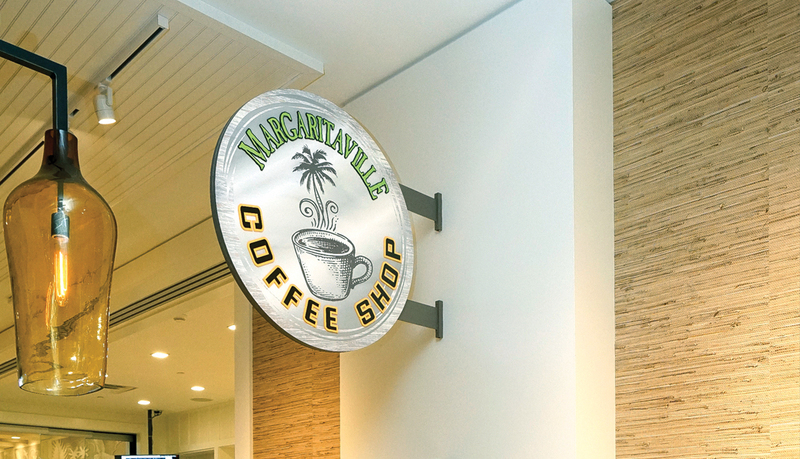 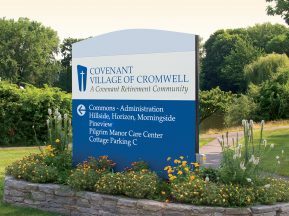 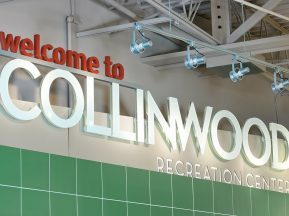 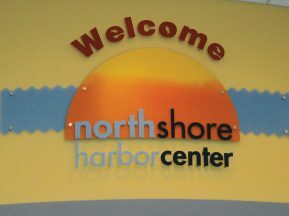 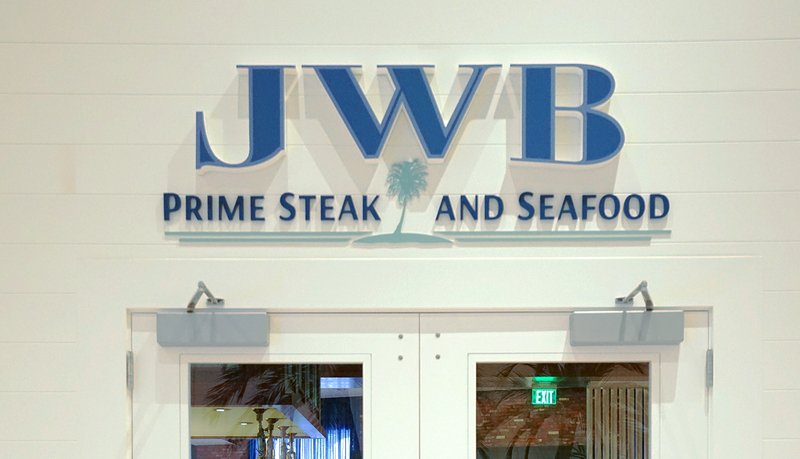 The conceptual designs for signage were created in collaboration with the McBride Company, an architectural design firm known for its experience in the hospitality industry. 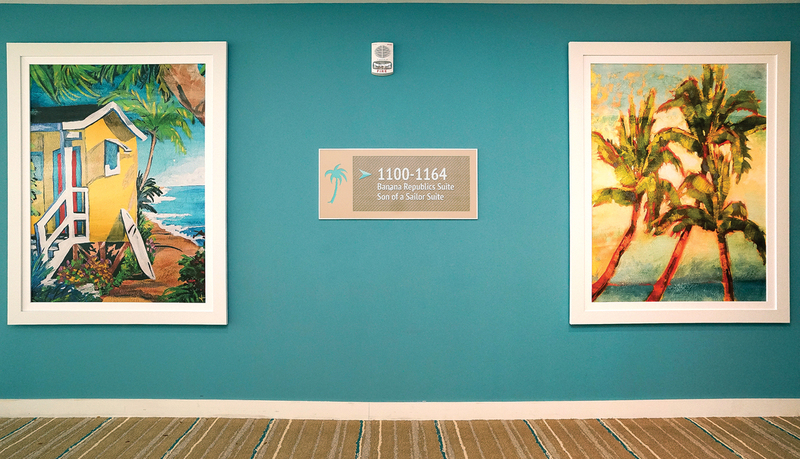 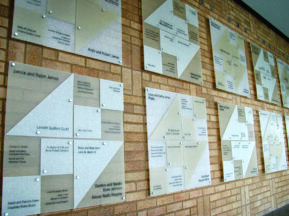 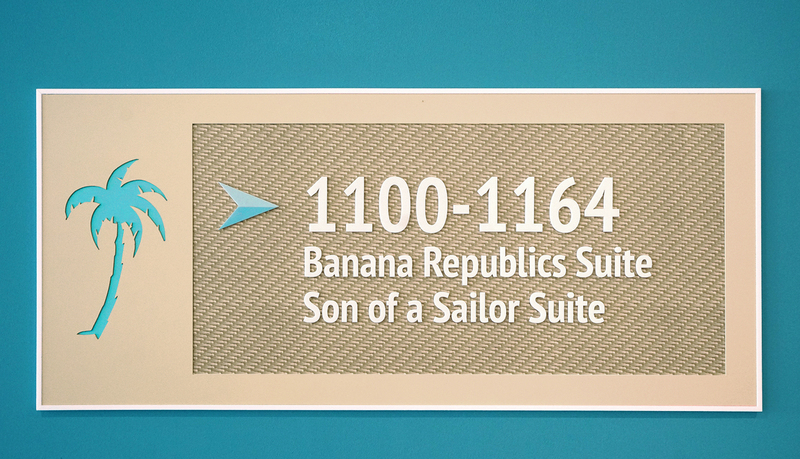 The McBride Company spearheaded designs for all guest room, wayfinding and amenity signage, while ASI focused on ADA room signs and pool signs. 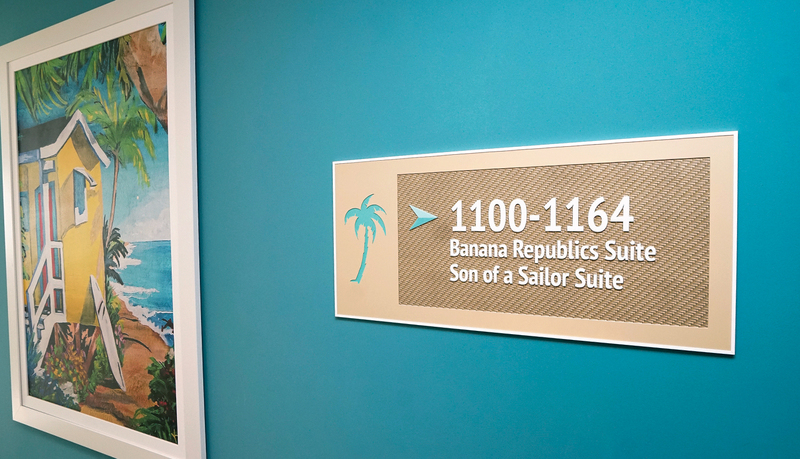 Together, ASI and the McBride Company created a decorative signage package, which included a vast range of colors, logos, custom background patterns and materials.